Bernadette Fox is kindof a mess. She doesn’t seem to get along with the other parents at her daughter’s school, her house is falling apart, her husband is never home, and she hates dealing with strangers so badly that she has decided to hire a personal assistant in India to make all of her appointments and take care of all of her duties. You may think that these things sound like issues that every woman deals with, but things are about to get even WORSE for Bernadette. 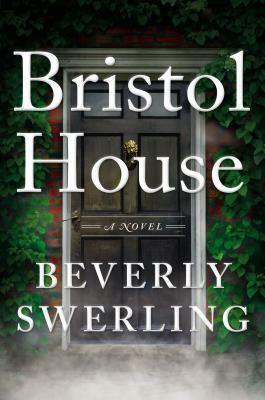 The neighbor lady has a vendetta against her and things are about to come to a head in a major way. Her daughter has decided that for her reward for getting perfect grades in middle school, they should all make a trip to Antarctica to see the penguins….And Bernadette gets unbelievably seasick. One day, Bernadette just disappears, and her daughter decides to follow the clues to figure out just who her mother really was, and what happened to make her go away. She refuses to believe that her mother would just leave or take her own life. But what happened to Bernadette? Following a trail of letters, emails and receipts, the middle schooler has decided the grownups have made a mess of things, and it’s up to her to put things right. Any woman who has ever wondered if they were going to have a nervous breakdown and go completely bonkers will LOVE this novel, which takes you down Bernadette’s humorous path to possibly lunacy with perfect timing and character. 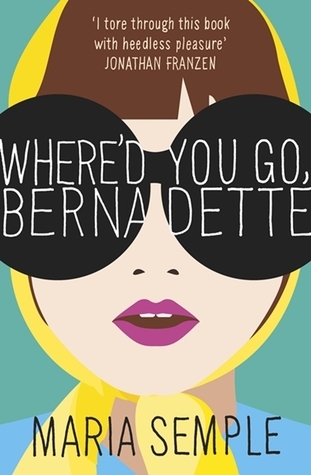 Where’d You Go, Bernadette, by Maria Semple, is an easy read, and the audiobook format by Hachette Audio is perfection. If you ever venture into the world of audiobooks, add this one to your list. If you enjoy books like What Alice Forgot, by Liane Moriarty, which delve into parenting, marriage, sanity, and the politics of the PTA, this novel is right up your alley.